There was no rest for Confetti Magic as our teams were out early on 1st January at London's New Year's Day Parade. 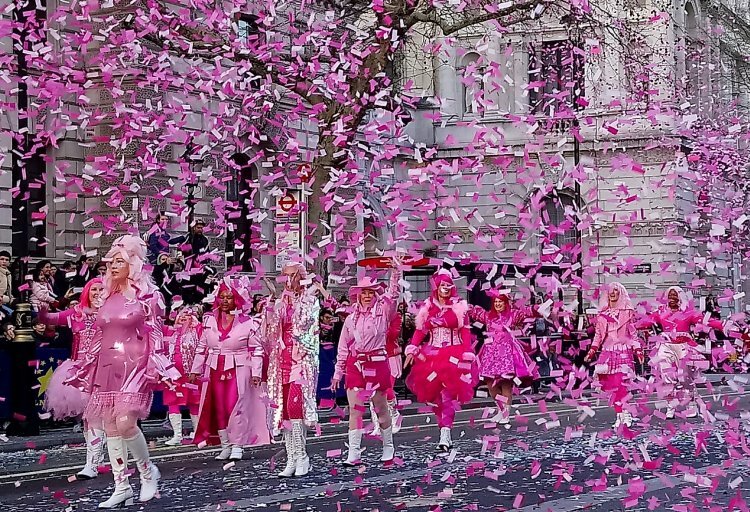 2019 marks Confetti Magic’s 10th year providing confetti for the parade, with this year being our biggest show to date. First held in 1987 the parade now attracts 10000 performers from around the world, over 500000 spectators lining the streets of London and a worldwide TV audience of over 300 million. To ensure that the parade got off to a spectacular start, one team were positioned either side of the start line on Piccadilly. They fired confetti over the parade participants as they began their journey using two Turbo Confetti Cannons. We chose Turbo Confetti Blasters as they are fan powered and very quiet, so as not to startle any of the many animals that were walking past, only a few metres away. At the finish on Whitehall, participants were greeted with colour co-ordinated confetti shots from our Hunnicane Confetti Guns. Our experience tells us that the wind on Whitehall is unpredictable and can change direction at any time. The back pack mounted Hurricanes allow us to quickly change position to get the confetti in front of the television cameras for the viewers at home to enjoy. With careful planning, all the confetti was matched to the unique uniform colours of each marching band. This year, for the first time, prizes were presented for the top three London Borough entries. We used our wireless remote-control, Multishot Confetti Cannons which could be carried out and quickly and set up on the street to fire a flurry of confetti for the winning Mayor. The parade finished with a rendition of the national anthem accompanied by a cloud of patriotic red, white and blue confetti from our Stadium Confetti Blasters with a final shot of red, silver and blue streamers from Bigshot Streamer Cannons to bring the event to a dramatic close for another year.